OK! magazine has the story and claims that sources say Tatum has quit drinking, and it’s made him a huge bore. 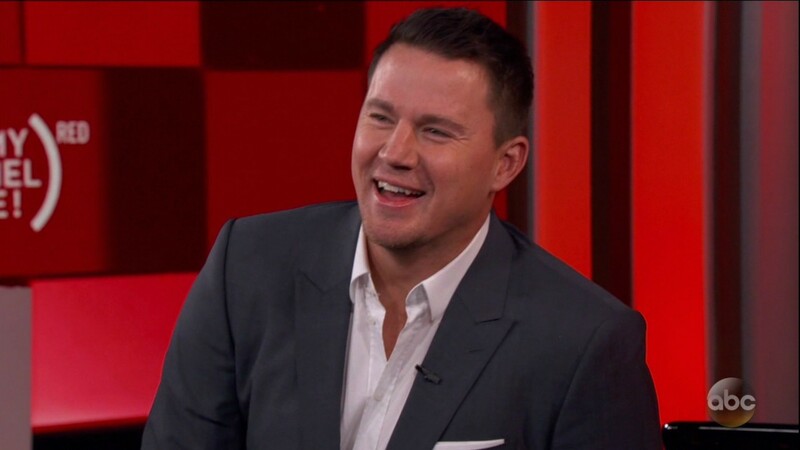 This alleged insider told the magazine that at a recent event, Tatum was “grumpy and bored,” and “barely able to muster a smile,” as he turned down booze and sipped water all night. “He admitted he was off the booze and said it wasn’t a big deal, but clearly it was,” the source added. Even if Tatum has quit drinking, that’s his choice, and we find it awfully hard to believe that booze is such a big part of his personality that giving it up would change him into a completely different person. And for anyone who believes that it’s made him grumpy and boring, we have evidence to disprove that. Tatum was part of a group of celebs who joined Jimmy Kimmel on a holiday special to sing a song they wrote all about AIDS research and the holiday spirit. Take a look at Tatum having a tap dance contest with Neil Patrick Harris and try to tell me that he’s grumpy and boring. Go ahead. As OK! points out, Tatum has in the past called himself a “functioning alcoholic,” but only jokingly.